lifetime of pages: Angel Wreath with Something Tattered Stamps! 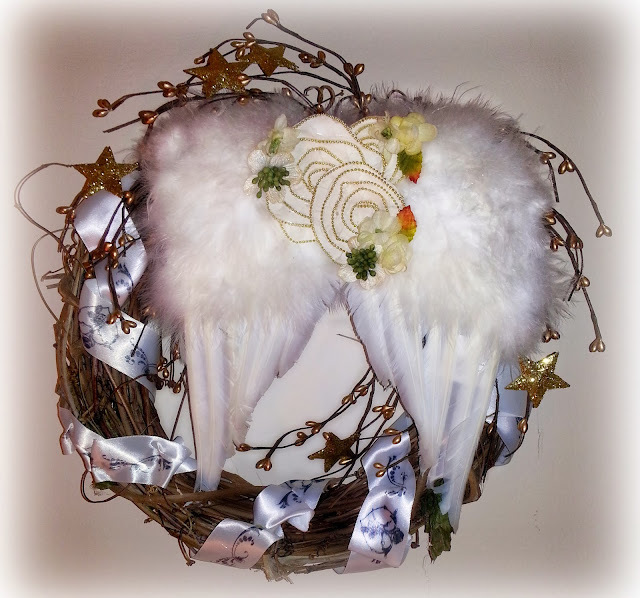 Angel Wreath with Something Tattered Stamps! I want to share with you a Angel wreath I created with stamped ribbon. I came across these baby angel wing in Jo-Ann's on clearance and couldn't resist them. I love the contrast of the soft feathers against the natural grapevine. Using the French Month February stamp set, I simply stamped a repeating pattern along my satin ribbon. Beth's stamps have incredible detail and crispness! 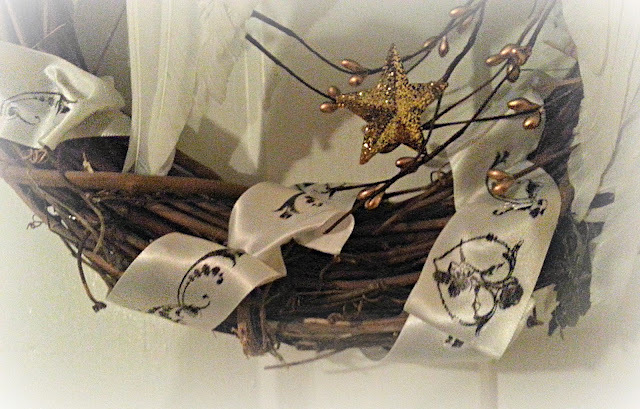 I added some star vinery for a "celestial" touch. I created a cluster in the center of my wings. 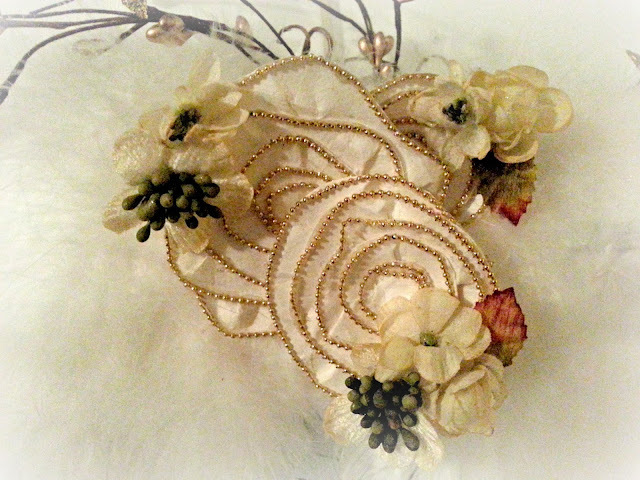 That's all I have for today..
and hope you will try a stamped ribbon project for yourself! This is sooooo cool! Wonderful job!